This coming season RHBL are running a Level 3 Coaching Course on Sunday 16th of September @ Greenway Park, Cherrybrook. The cost of the course is $130.00 – the amount is payable on registration. The minimum age for Level 3 is 18 and the course content is best suited for Little League Major, Intermediate League, Junior League, Senior League, Big League and all senior baseball coaches. The course is open to all interested in completing their Level 3 Baseball Accreditation and spaces are limited. Click here for the mandatory requirements. The online Beginning Coaching Principle course has been replaced by the Australian Sport Commissions Community Coaching General Principles. Click here for the link. After completing Registration, you can then log in and complete the online component of your accreditation. 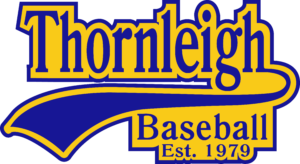 RHBL is committed to growing participation & retention of players within our association and in line with our commitment to support our clubs RHBL will be reimbursing the cost of the Level 3 course for Thornleigh Baseball coaches for the 2018/19 season. Should you have any questions or need further information regarding the Level 3 Course please email Garry Everson from BBNSW on garry@baseballnsw.com.au. Additionally, we are running a Level 1/Introduction to Coaching Course on Sunday 16th of September 2018 at Greenway Park, Cherrybrook – this course is best suited to coaches new to baseball coaching the Hawkball & T-Ball age groups. Click here to register for this course.